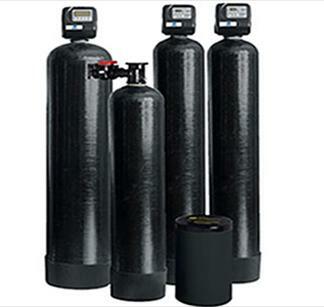 Absolute Water Treatment sells and installs water filter systems that will treat and clean even the most challenging water conditions at your home or business. Our water filters treat both well water and city water problems. Our whole house water filters will get rid of that rotten egg smell and make your water taste great. With the right system in place we will ensure that you and your family have safe, high quality water for drinking, bathing, doing laundry, cooking and more. We offer free water tests to determine what your specific needs are and then will recommend the best solution based on cost and water usage. Need a water filter system for your home? Contact us today to learn more about our products and sign up for a free no obligation quote. If you have severe or challenging water problems, the FC Series of filters will treat and purify your drinking water. Absolute Water Treatment will test your water and determine the correct configuration of the FC Series Water Filter to correct your water issues. Use the FC Series for municipal or well water sources. With the FC Series in place you’ll notice cleaner laundry, cleaner dishes and much better overall water quality.